I haven’t played a console Dead or Alive game since DOA 4 came out for the Xbox 360 around launch. 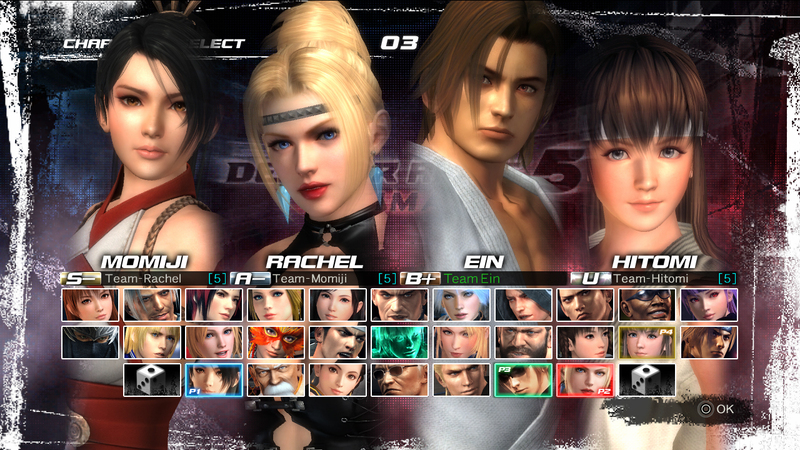 I had been wanting to check out DOA 5 for quite sometime. 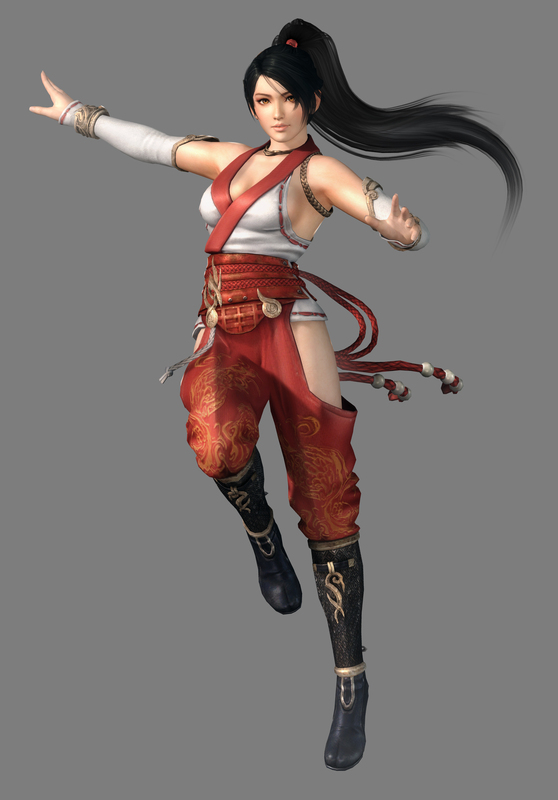 Now that DOA 5 Ultimate is out, I finally got my chance to check out this entry into the series. I mean, who doesn’t love the DOA girls! Let’s see if it holds up to the high standards the series has set over the years. First off, the graphics are amazing, and the character models and combat areas all look great. Everything is very detailed, from the character models themselves to the items littering the combat areas. You can even see the expressions on the character’s faces during combat. The models are so detailed that you can see sweat and dirt on the fighters as well, but you can turn this off in the options if you wish. While some may find the girl character models to be just way too over sexualized and too extreme, this is pretty much what I expect out of this series. Speaking of the girls, yes, they are still very well endowed and the jiggle physics are still very much present. There are even a few different options of how much jiggle you want. I think this is fine, I mean this is the style DOA has always been known for. The guys are just as extreme as the ladies, unless you happen to personally know any guys rocking a 30 pack like Jann Lee. DOA is the first fighting game I remember using multi-tiered combat areas. They are back and are still fantastic. Nothing feels better than to knock your opponent through a wall, through the floor, or just knock them off a high ledge to see where you will end up next. You can prevent yourself from falling off certain places by preforming cliffhangers. A short QTE will appear, and if you do it correctly you can save yourself from falling. I thought at first these would break the flow of the game, but they really just add to it. Overall this really makes every fight feel fresh and new. The core of any DOA game has always been the fighting mechanics. I am very happy to say this entry into the series plays just as well as always. The controls are simple – you have a punch, kick, block and throw button. Pressing button combinations along with directions on the D-Pad will allow you to pull of combination attacks. These will start off very simple, but can become much more advanced as you add in air juggles and other nifty tricks. Pressing back and the block button will counter a punch and pressing forward and block will counter a kick. These button presses must be timed correctly in order for the counter to work. The fighting engine has always been one of my favorite things about the DOA series. It is simple enough for anyone to pick up and play, but it has a ton of depth for advanced players to experiment with. There are many different styles of fighters to choose from. You might go with the quickness of Ayane or the brute strength of Bass. There is a total of 29 combatants to choose from. All of the fighters are well balanced and have strengths and weaknesses, with even the extra fighters from Virtua Fighter and Ninja Gaiden fitting in seamlessly. The Training Mode in this game is fantastic. The free training allows you to train any way you would like. Command Training teaches you all the of moves for each character while Tutorial Mode shows you all the basics. Combo Challenge is where you learn each character’s combos. You learn all these things as you please, so if you wanna know the basics or just enough to get by you can. The game is very flexible with numerous difficulty settings, so you can play to the level of skill you desire. 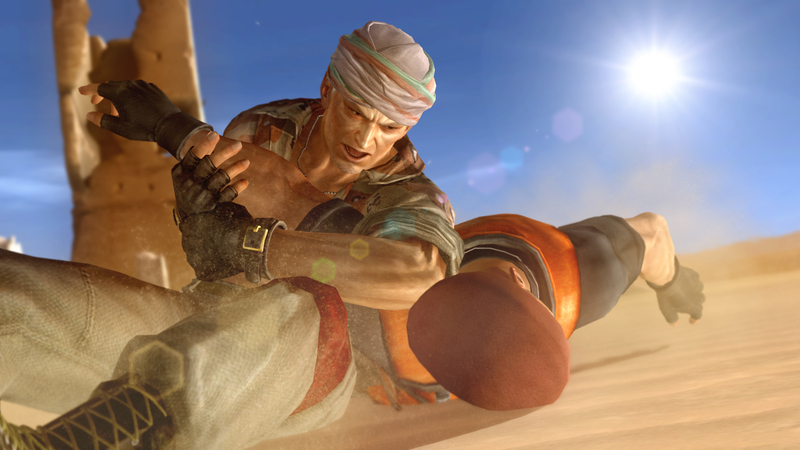 There is a story mode which continues the story of DOA. This is setup basically the same way as DOA: Dimensions was on the 3DS. You will fight about 3 battles with a character and move on to the next chapter. The story itself isn’t really that bad, but let’s be honest – this is DOA, are you really playing this for the story? If you in fact are doing so, you can complete it in about 10 hours and the mode is here for you to enjoy. There are tons of fighting modes to choose from. You have VS, Arcade, Time Attack, Survival and Team Fight. Each of these modes except Team Fight can be customized to fit the type of fight you’re looking for. You can have solo matches or tag matches where you can adjust the CPU difficulty. There are eight difficulty settings as well as health and other settings that you can customize. The AI difficulty is pretty balanced though it will feel a bit cheap on the highest settings. Arcade mode is a series of fights just like any other arcade mode. Time Attack can be summed up as how fast can you complete an Arcade mode route? Survival is a bit different than you might think. Yes, you are trying to survive a series of matches, but it throws out random fruits for health that you can pickup during the matches. This makes this pretty interesting on the higher difficulties. Team Fight is where you form teams of seven and duke it out. The last team with a character standing wins. There is a ton of replay value in this because you will use some of these modes to unlock all the costumes. With all the different arenas and options, no two fights ever really feel the same. Online Mode is pretty much what you would expect. You can make a lobby with the rules you want or join a lobby to fight in. There are also ranked matches for those that get into that sorta thing. I didn’t really have any issues with this mode. It runs pretty smooth; there is a bit of lag here and there, nothing that breaks the game or anything though. I also had no problems finding a match to get into, as there are plenty of people playing this one online. Some other features include a Spectator Mode, where you can make the CPU fight itself and take pictures for your photo album. The in-game movies are also accessible for viewing. You can even customize the soundtrack you fight to via the music menu. I thought these modes were a nice to touch to an already great package. 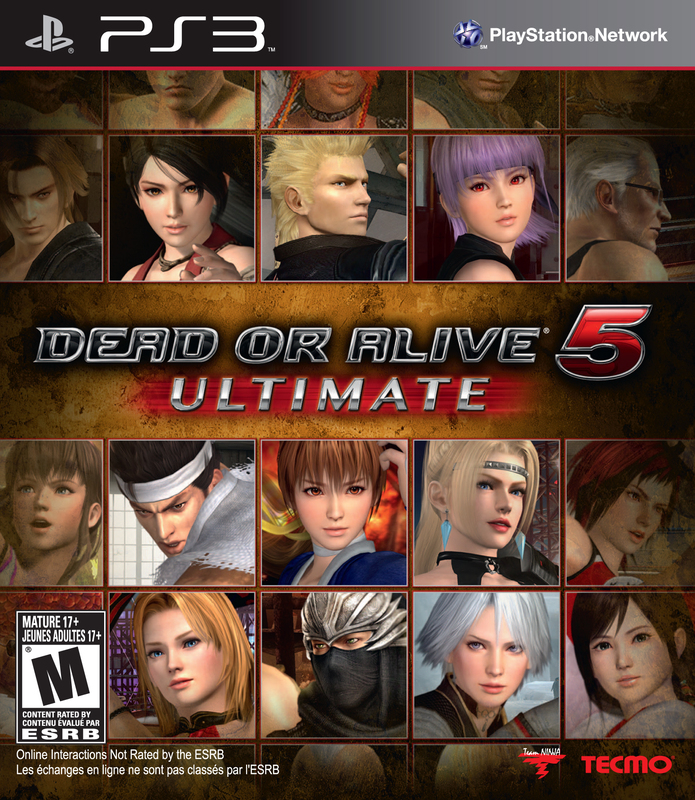 In the end DOA 5 U is a very solid, well made fighting game. The graphics are sharp, and these girls and guys have never looked better. Some may be turned off by the over the top nature of the breast physics and the fact that on the PS3 version of the game you can even jiggle the breasts by moving the Dual Shock controller around during the end poses. But honestly this DOA is exactly what I expect out of one these titles. Though there are a lot of sexual overtones in here, there is a really solid fighter under all of that, and that is what has always made DOA so great to begin with. I highly recommend this title to any fan of solid fighting games or DOA fans in general, for the $40 price tag and the amount of content this one has is hard to pass up.